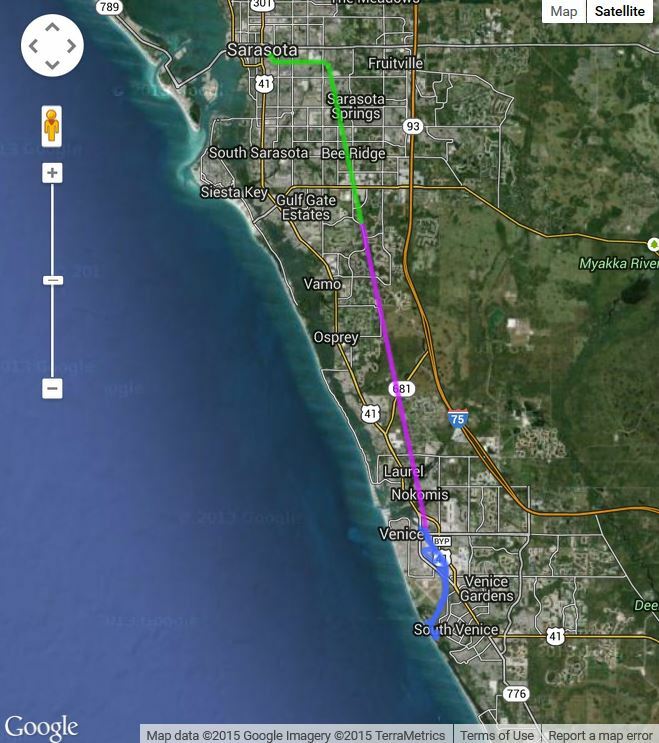 Sarasota County has installed yellow 911 emergency location markers spaced every one twentieth of a mile (264 feet) along the entire length of The Legacy Trail as well as the Venetian Waterway. These markers will facilitate emergency responders to pinpoint the your location and speed their response time. 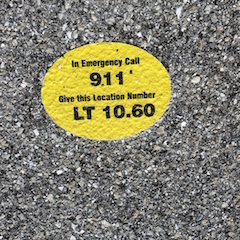 In an emergency, simply locate the nearest 911 marker, and call 911 giving them the location, e.g., LT 10.60 represents the Legacy Trail 10.6 miles north of the Venice Train Depot). There have been several instances the where 911 markers helped emergency responders quickly respond. Their are traffic control devices at several locations where the train bisects heavily travelled roads, e.g., McIntosh Road, Laurel Road. 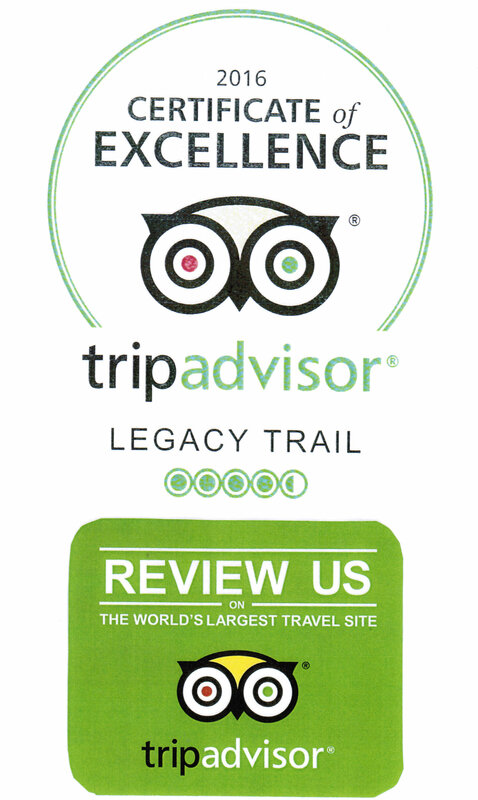 Trail user can simply press the button at the intersection, wait for traffic to stop, and then cross the intersection. 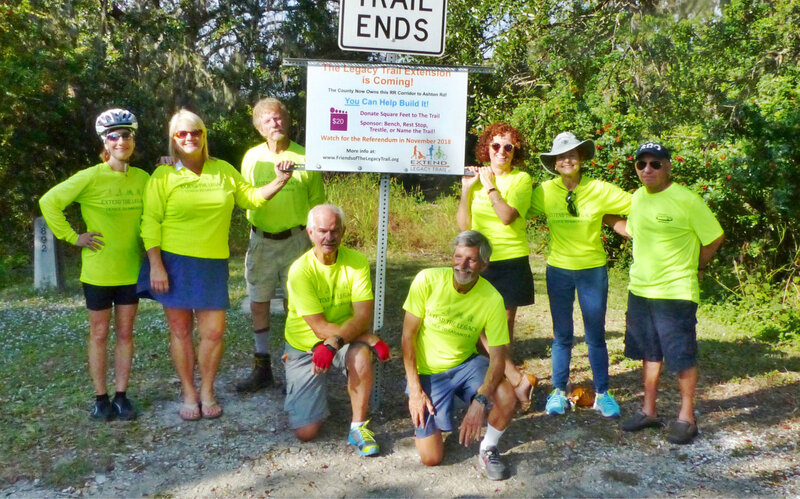 Sarasota County installed a pedestrian crossing warning light system where The Legacy Trail bisects the busy four-lane Central Sarasota Parkway. Cyclists must first heed the stop sign on The Legacy Trail. After stopping, press the button on the side of the trail to activate the flashing lights, alerting drivers that you intend to cross. Make eye contact with drivers to confirm vehicles are slowing or stopping before entering the intersection. 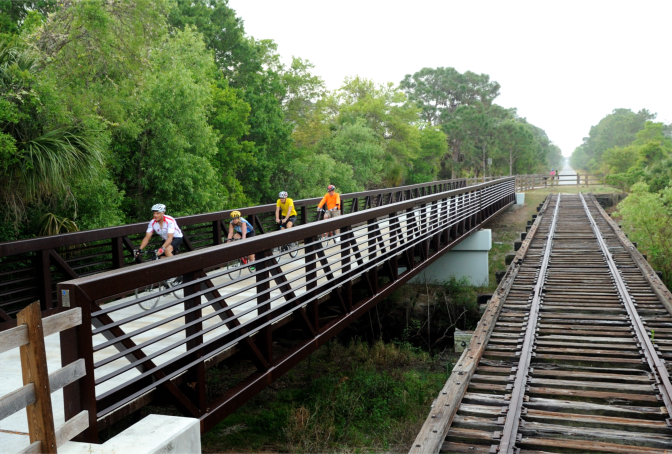 Florida law grants cyclists on a crosswalk the same rights and responsibilities as pedestrians. Drivers are supposed to yield to pedestrians in the cross walk. Nonetheless, FLT urges all cyclists to confirm driver behavior before beginning to cross the road. 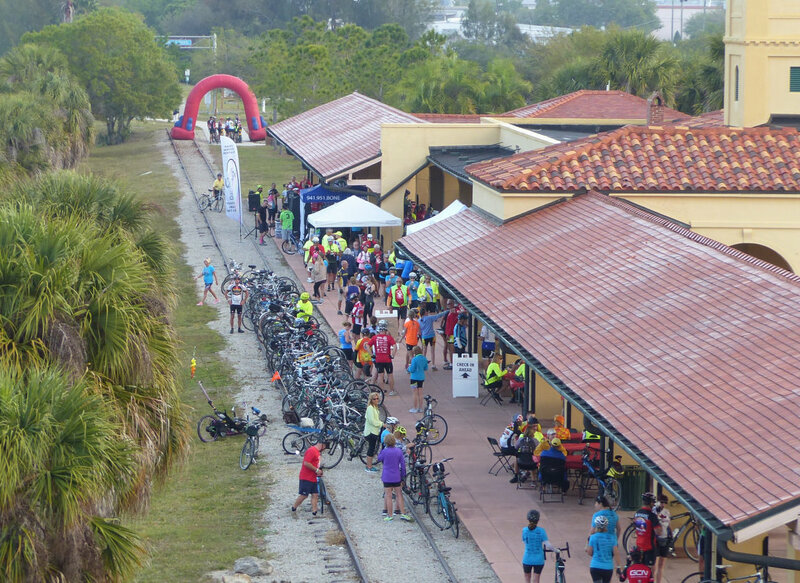 Thank you Sarasota County for continuing to invest in the safety of all The Legacy Trail users!